For our most recent vacation Brandon and I decided to take our four little kids on a beach themed road trip. Our vacation would be in November, and we figured we had better chances of having good weather if we went south to the Texas coast. Spending time at the beach sounded relaxing. 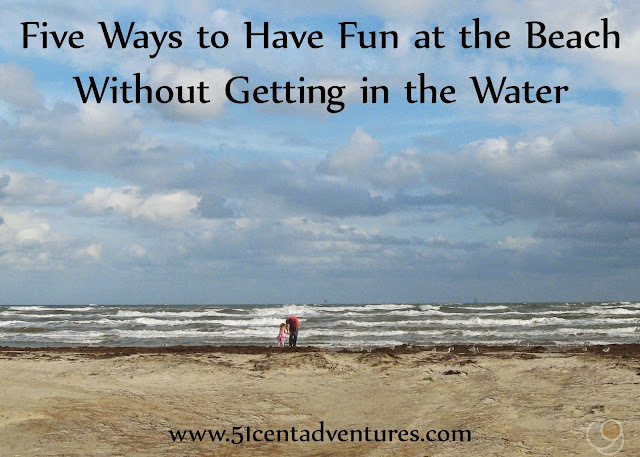 We assumed that our kids would enjoy playing on the beach and wading in the water. Imagine our surprise when we arrived at the beach on South Padre Island, and our kids refused to get close to the waves. They didn't want anything to do with the water. They weren't too sure about the beach either. They were scared of the seagulls that circled our picnic food. Within a few minutes our 4 year old twin girls were asking if we could leave. This was a problem because we planned to visit at least one beach each day of our vacation. How could we have a fun beach vacation if the kids didn't like the beach? Over the next few days Brandon came up with several tricks for helping the kids have fun on the beach. He was hoping that the kids would have so much fun on the beach that they would eventually try out the water too. That didn't happen. But thanks to his efforts the kids did have a good time and made great memories of our vacation. So here are some ideas for you in case you find yourself with a child or two - or four who won't go in the water. Brandon figured that if we could get the kids used to the idea of playing in ocean water, they would feel more comfortable playing in the actual ocean. He dug them a hole and then brought buckets of water to fill up the hole. Our twins especially liked this "little swimming pool." They did this at the first beach we visited on South Padre Island. Playing in the hole helped them enjoy that beach. We were able to stay a lot longer than had seemed possible at the beginning. 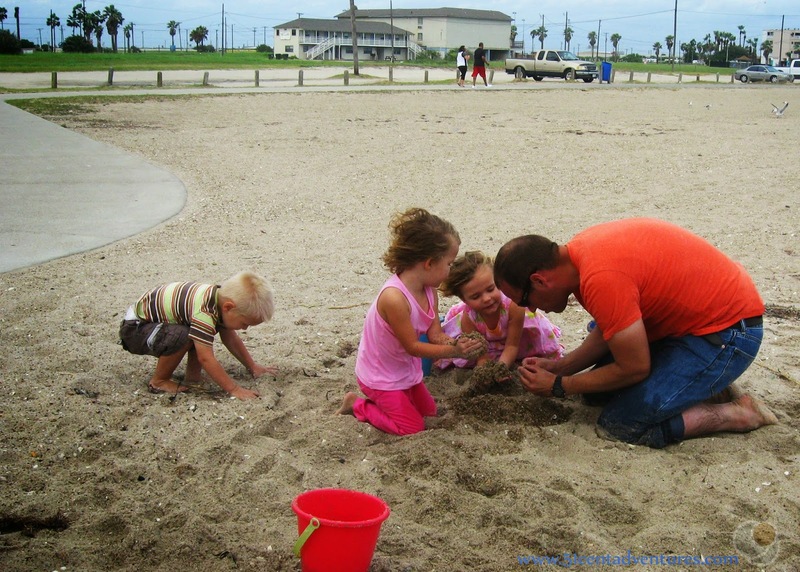 Several days later Brandon dug another hole for the kids to play in at the beach at Galveston Island State Park. They enjoyed playing in this hole as much as they had the first. The beach we visited in Corpus Christi was steeper than the island beaches. Digging a hole wouldn't work as well on that steep slope. The kids started out hiding under a picnic table. There were more seagulls flying around, and my girls refused to get out from under the table. Brandon coaxed the kids to sift the sand and look for shells. That was pretty easy because the sand was made up of crushed up sea shells. Soon our girls were out from under the table and helping find "baby sea shells." 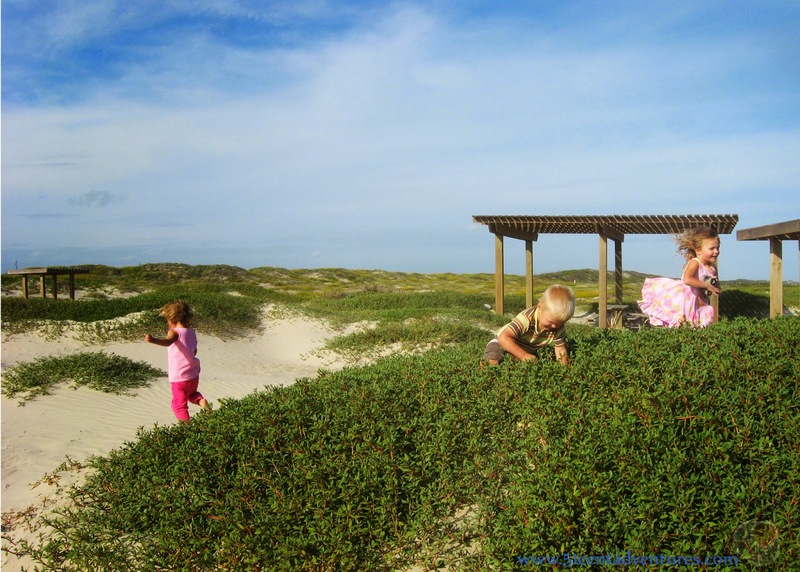 The beach at Mustang Island State Park was probably my kids' favorite beach. A lot of that was due to Brandon's idea to get some of the toys out of our car. He grabbed a truck and then built some sand walls for the truck to smash into. After our kids caught onto that idea, he grabbed a toy bus and a toy plane. Soon our three oldest kids were running up and down the sand dunes playing all sorts of games with their toys. One of my daughters later told me that they were pretending the white sand was snow. Looking back, I wish we'd brought a kite on our trip. Every beach we visited had a constant strong breeze that would have been great for kite flying. My son has an obsession with throwing rocks into water. I'm convinced he's a human divining rod. When he senses water he picks up rocks and starts walking in the direction of the water. This happens everywhere we go. Goose Island State Park doesn't have a sandy beach. Instead it has a long fishing pier. 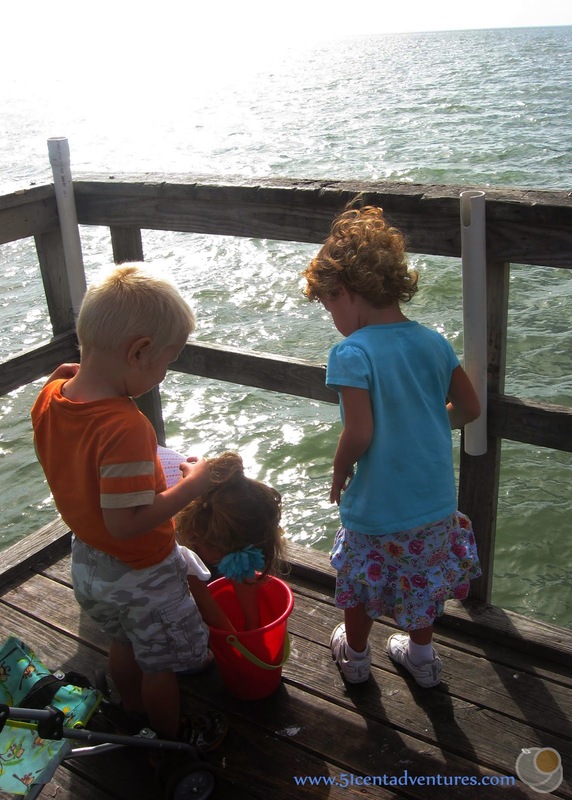 We walked out to the end of the pier, and brought a bucket of rocks for our children to throw into the water. My son was so happy. Then we walked back to shore and let our son throw rocks into the water for at least half an hour. He was in heaven. 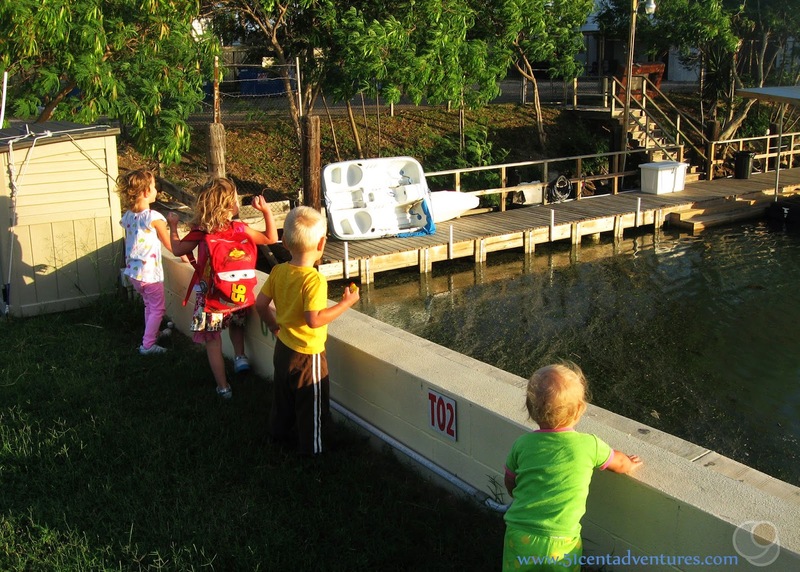 All four kids liked throwing rocks into water at the marina that was part of the Port Isabel RV park where we stayed during the first two nights of our vacation. Even my 13 month old enjoyed picking up rocks and lobbing them over the small retaining wall. This is how we kept them busy while one of us cleaned up breakfast or dinner. Sand castle building is probably the most obvious activity on this list. Our kids made a few sand castles, but it never turned into a concentrated effort. They are all still at the ages where they'd rather smash a sand castle than build one. Any time I tried to build something my girls would come "pretend like they were dogs" and dig through the pile like they were trying to bury bones behind them. 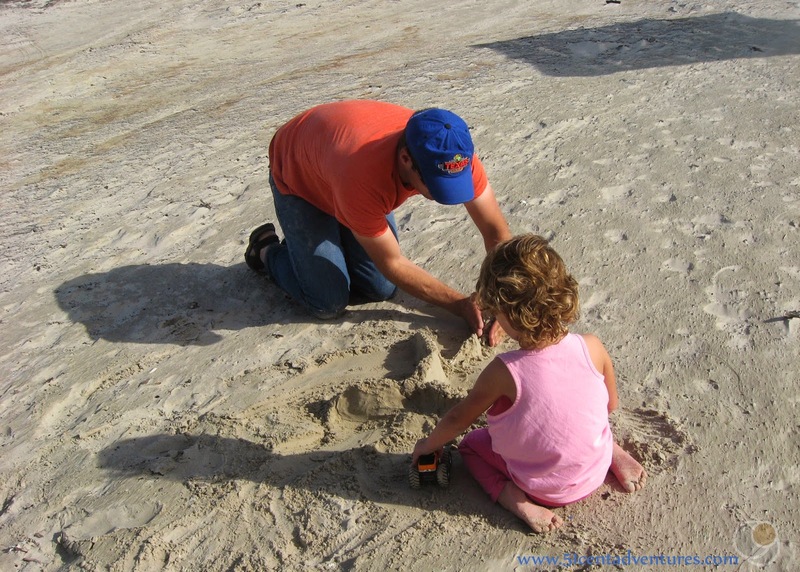 I'm including building sand castles on this list because I know it is something that most kids enjoy. Honestly, I prefer to build with sand rather than swim. Especially when the water is cold like it can be in Utah. 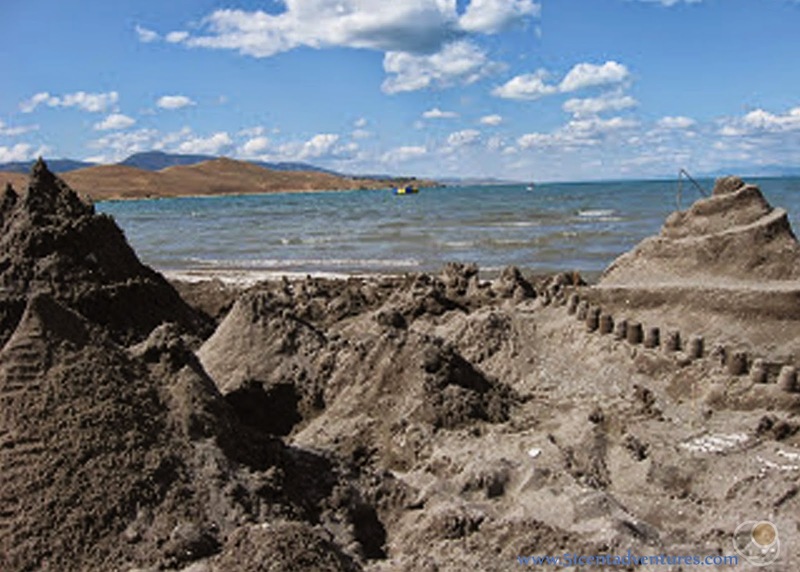 The picture up above is of castle my husband, siblings, and I built years ago during a visit to Bear Lake in Utah. 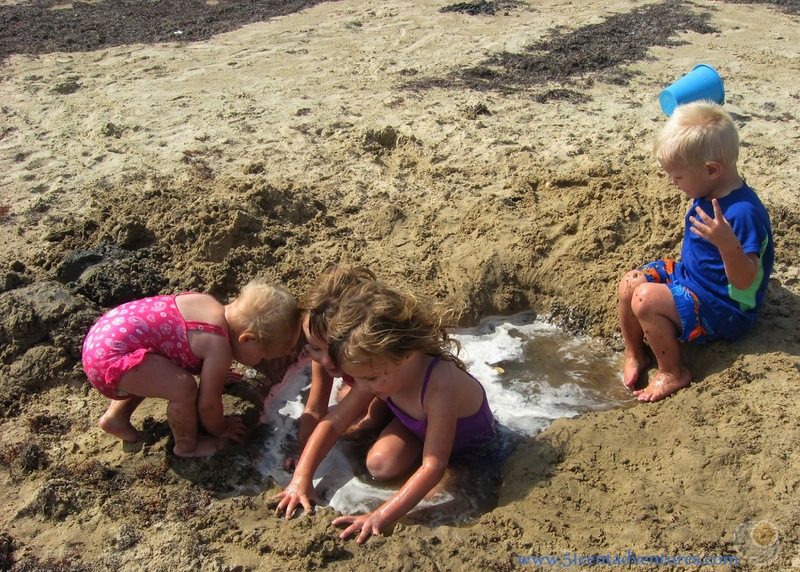 I hope this list gives you some ideas of fun things you can do with your kids on a beach. If your kids say they don't like something, don't give up hope. Keep a positive attitude and see if you can find something that your kids enjoy doing. Remember sometimes its the most simple things that they remember best. What fun things have you done on a beach? If you liked this post you should stay tuned to this blog. I'll be sharing some more tips on how to make vacationing with kids easier. 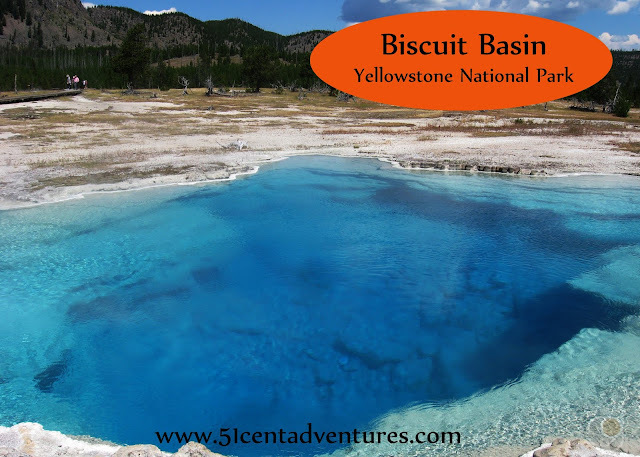 I'll also talk about the beaches and other places we visited during this years beach vacation.